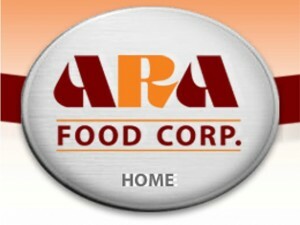 ARA Food Corporation is a privately owned Florida, US company that primarily produces and distributes plantain chips. ARA Food Corporation was established by founder Alberto R. Abrante in 1975 with support of his family and his father Manuel. ARA Foods was created with the purpose of producing a tropical snack that became popular to many of consumers: plantain chips. Because the process of producing the chips was quite complex, the company had to develop special techniques in order to commercially produce the chips. In its early years, ARA Food’s facility was a 7,000 square foot rented warehouse. After 2 ½ years, the company bought its own building. In the succeeding years, the company continued to grow slowly and steadily, all because of the management and the employees’ dedication and hard work. Soon, ARA Food Corporation was able to add more equipment to its facility. The company was also able to acquire more property that was converted to processing facilities and distribution centers. Aside from plantain chips, the company began to offer more products such as sweet potato chips, cassava chips, pork cracklings, and pork rinds. All of these products were created under strict compliance with the safety and quality controls set by process and quality control experts. As proof of the safety of its operations, the company’s facilities have been certified by the United States Department of Agriculture (USDA), the Occupational Safety and Health Administration (OSHA), and AIB International. Today, the new generation of company leaders continue to be involved actively in the success of the company and is looking forward to a very promising future. I want Mariquitas – Yucca Chips. How can I buy a dozen ??? in your TOP BANANA, FRIED PLANTAINS you indicate as a fact that you can eat green plantains as they are, without cooking. This is totally incorrect since eating green plantains will make you sick. You can eat ripen plantains the ones that have a blacken skin but not the green. Even the supermarkets put a label that says do not eat uncooked. Your product is very good compared to other competitors. I am looking for plantain chips in bulk. Can you help me? If not, do you know who would help? I like the company, If the company need supply of plantain. my company is ready to supply them.